Happy Easter to you, Amy! 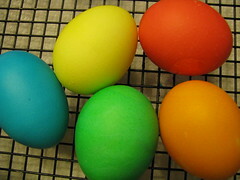 I love the deep colors of your eggs. Those bird's nests are really cute. 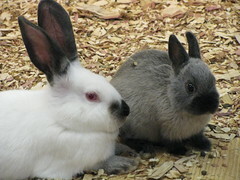 I wish I had made those for our easter fun. I'm off to vote for you!!!!! Your eggs rocked. Ours were...well, they were anemic. That's the only way I can think of, to describe them. 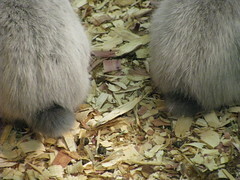 BTW, I had no idea how awesome bunny tails were. Too freakin' cute! Hope you guys had a wonderful Easter. 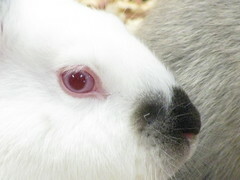 Love the live bunny photos! So cute!!! Those eggs are so perfect! Where are all the smudges and ugly wax marks? 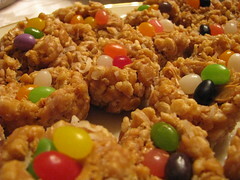 I never realized you could put jelly beans in rice crispy treats, yum. Happy Easter.